The new center-right coalition in city council decided to scrap initial plans to build a giant glass and stone store at Kungsträdgården park. The building currently occupied by a restaurant was purchased by Apple a few years ago for 129mn Swedish kronor (US$13.9mn) after the previous city government approved the project. Apple was reportedly infuriated by the decision, as the company had already made several revisions to the project to better fit the historic location. “There were definitely no kind words, it was nasty words that I do not want to repeat,” Björn Ljung, a member of Stockholm Urban Development Committee, told property magazine Fastighetsvärlden, describing Apple’s reaction. Stockholm authorities offered to find a new location for a store, but were turned down. “We were then told that Apple wanted nothing to do with Stockholm City anymore,” said Ljung. When Apple initially announced its plans in 2016, public backlash followed, with critics saying the store would block one of the entrances to the park and that it would commercialize a revered landmark. 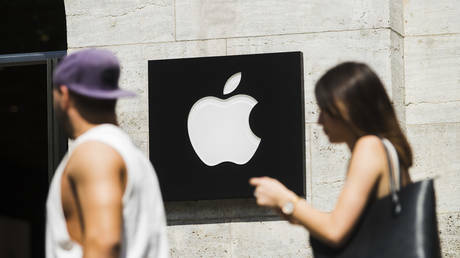 Disappointed by loss of time and investments, Apple is reportedly trying to sell the site back to the city of Stockholm at a significant premium. The company is seeking 179 million Swedish kronor for the property, a significant increase over the original price.